Pulmonary Arterial Hypertension (PAH) is a debilitating disease of the lung blood vessels that causes heart failure and early death, affecting hundreds of thousands of patients worldwide. Available therapies fail to prolong life, despite costs that may exceed $200,000/patient per year. A team of investigators at the University of Alberta (Edmonton, Canada), and the Imperial College of Medicine (London, UK), reported promising results of an early-phase clinical trial with a novel drug in PAH patients, already under treatment with approved drugs. 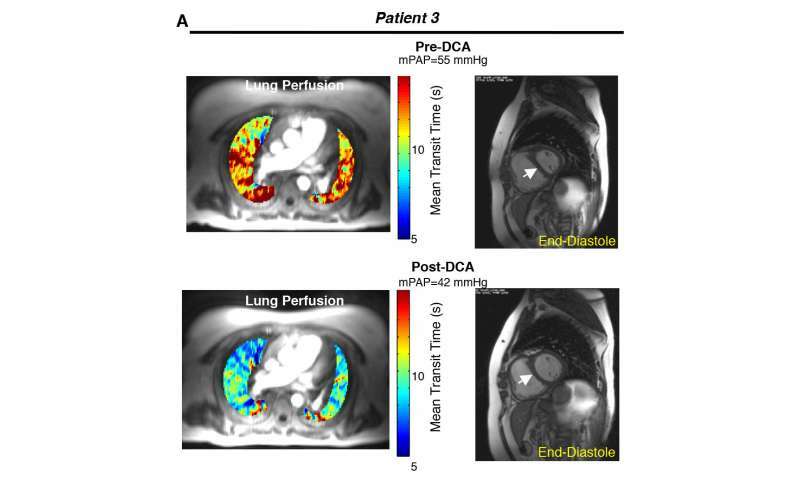 In this week's issue of Science Translational Medicine, the investigators showed that the generic drug, Dichloroacetate (DCA), can decrease the blood pressure in the lungs of PAH patients and improve their ability to walk, without significant side effects at the doses tested. DCA works by activating mitochondria, the energy-producing units of the cell, which also regulate the cell's fate (i.e., whether the cell can grow or die by self-destruction), a process called apoptosis. Mitochondrial function is suppressed in PAH. This allows the cells lining the lumen of lung vessels to grow and avoid apoptosis. The resulting overgrowth of cells narrows the lumen of vessel, making the heart work harder to push blood through for oxygenation. This overgrowth of cells resembles the growth of cancer cells, where mitochondrial function is also suppressed and DCA has shown promise as a potential cancer treatment. The investigators also studied lungs from PAH patients removed at transplant surgery. 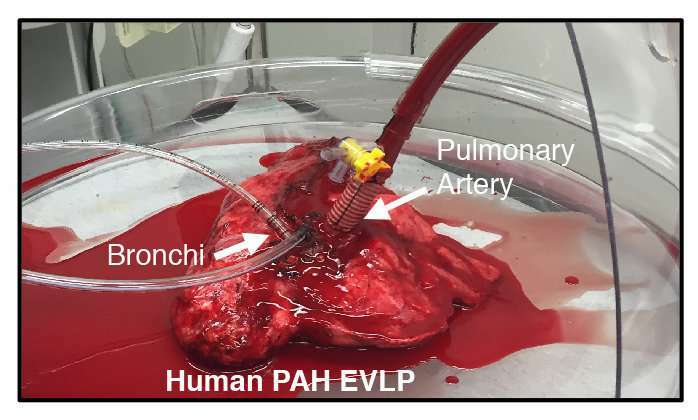 They were able to keep them alive for a few hours by connecting them to a respirator and perfusing them with nutrients, with or without DCA. They showed that the molecular target of DCA (a mitochondrial enzyme called Pyruvate Dehydrogenase Kinase or PDK) was higher in the lungs of PAH patients compared to lungs that do not have the disease, and that DCA effectively inhibits the enzyme, increasing mitochondrial function. 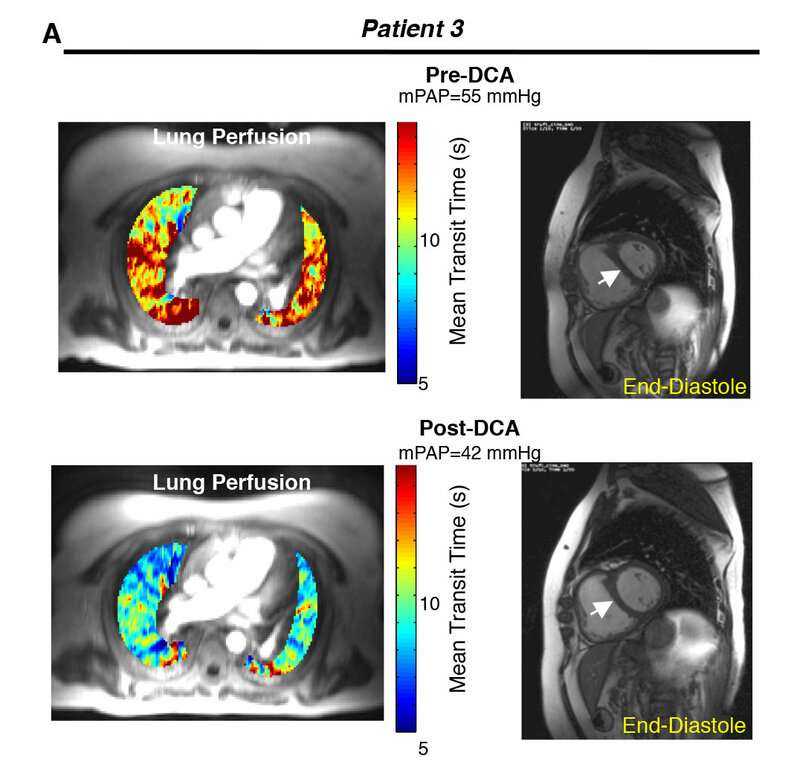 In addition to measuring the pressures on the patient lungs in the clinical trial, the investigators used positron emission tomography and computed tomography (PET-CT) and showed that the patients' lung metabolism improved, due to increased mitochondrial lungs, much like in the explanted lungs. "This is the first time that a drug targeting mitochondria is shown to be effective in patients with PAH" said Dr. Evangelos Michelakis, the study's co-lead. While no patient worsened, some patients (and some lungs) simply did not respond to DCA. The investigators showed that in these patients, the presence of two gene variants (single nucleotide polymorphisms) encoding two mitochondrial proteins were causing a mitochondrial suppression that was unrelated to PDK and thus not responsive to DCA. "This is a great example of precision medicine, where the patients' genes can be used to predict the effectiveness of a drug in a particular patient," said Dr. Martin Wilkins, the study's co-lead. "This work will be important for the design of future trials with DCA (or other mitochondrial activators). We would spare patients carrying these two gene variants from recruitment to a study from which they may not benefit, allowing them to enroll in other studies. By focusing on patients that have a greater chance of improvement, we can increase the efficiency and decrease the cost of trials," said Wilkins. "Another important aspect of the study is that DCA is a generic drug, and thus the study was not sponsored by a pharmaceutical company, but from public funds and donations. This means that if future studies confirm our results and show a clear and definitive benefit of DCA in PAH, we may have an affordable, cheap treatment available to all," said Michelakis.